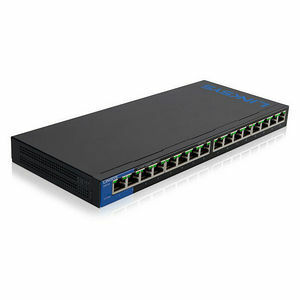 The unmanaged switch offers Gigabit speeds to minimize transfer times and greatly enhance the ability to stream high-bandwidth files to connected devices without interference. PoE support lets you deploy network systems such as wireless access, IP telephony, or video surveillance solutions more quickly and at a lower cost, without having to install separate power supplies for individual devices. Linksys unmanaged switches offer a quick and easy solution to extend your office network with plug-and-play installation.